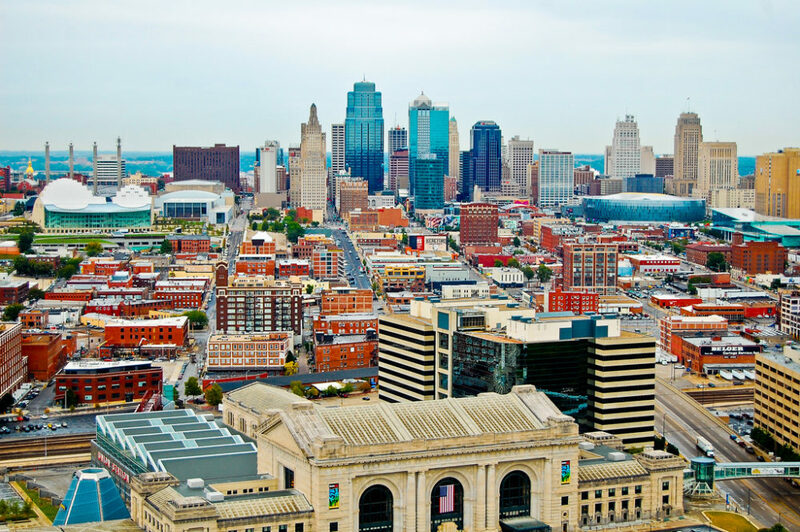 Owners of large commercial and residential buildings will have access in June to a new resource center in Kansas City that is aimed at helping property owners launch energy efficiency projects. The Clean Energy Resource Center will pick up where the City Energy Project leaves off. Kansas City was one of 10 cities that received a three-year grant from the Institute for Market Transformation and the Natural Resources Defense Council. The energy project, which reaches completion this spring, heavily promoted energy benchmarking of large buildings, and was instrumental in getting a benchmarking ordinance passed in Kansas City. Now that owners of large buildings are laying the groundwork to start receiving feedback on how much energy they are using compared to similar structures, the resource center will provide guidance on how to improve their buildings’ performance. Figuring out what improvements to make, which technologies to use, and who to hire can be challenging for someone without background in energy efficiency, according to Warren Adams-Leavitt, who will direct the center. He currently is the executive director of the Metropolitan Energy Center, one of the partners in the creation of the energy resource center. “We would be an entry point where people can go for information and resource contacts to try to figure out how to begin,” said Adams-Leavitt. The new resource center has set a goal of reducing energy use among commercial buildings by 4 percent annually. Reductions in other cities with similar resource centers — Chicago, New York, Washington D.C., Seattle and San Francisco — have tended to range between 3 percent and 7 percent annually, according to the Metropolitan Energy Center. The resource center aims to achieve that goal through training, one-on-one guidance and networking, for starters. For example, building operators will be trained and certified “so they understand how to manage buildings in a way that will reduce energy costs,” Adams-Leavitt said. It also will serve as a hub to connect building owners with product and service providers, away from the pressure of sales calls. Gunby said that during her three years with the City Energy Project in Kansas City, she heard many building owners express a distrust of the information they get from energy-efficiency vendors and contractors. “They wanted an unbiased source,” she said. The center also will offer one-on-one guidance throughout the process, from commissioning an energy audit to identifying improvements with the best payback, finding financing and verifying the impact of improvements. Gunby said the plan calls for organizing “affinity groups,” collections of people who own similar types of buildings, such as grocery stores, retail outlets or schools. Their needs and challenges differ substantially, she said, and could be addressed in part by the experiences of others in the same arena. And a yearly recognition and award event, she thinks, will maintain interest and enthusiasm. Within the first couple of years, it aims to work with 400 building owners to move forward on improvements through training, one-on-one consultations and affinity groups. So far, the two major energy companies in the area — Kansas City Power & Light and Laclede Gas — have agreed to provide funds, and the local electricians’ union has offered free office space. Although the utilities have their own efficiency programs, which tend to focus on large energy customers, the resource center could bring guidance to smaller commercial and institutional customers, Adams-Leavitt said. The resource-center concept of providing guidance and connections for no cost is also “scalable,” Gunby said, meaning that although it will launch on a fairly modest scale, it could easily adapt to a larger size. Services would be provided without charge, but would be funded by donors. Kansas City Power & Light’s plan to return federal tax savings to customers also includes measures to encourage renewable energy purchases, community solar and reduce energy usage. City officials hope a partnership with Kansas City Power & Light will help it meet a set of ambitious clean energy goals.